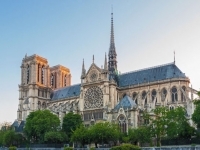 Notre Dame de Paris, is one of the most visited historical monuments by tourists from all over the world, was in restoration, including including a huge scaffolding and a lift of more than 50m. The whole of the Cathedral Notre Dame de Paris, includes a part dating from the 12th century and the 19th century, is mainly wood, oak. The fire is "potentially linked" to the building's renovation work, firefighters said. Firefighters are several dozen to stop this fire, accompanied by the civil protection and the police mobilized, NOTRE DAME THE PARIS IS THE CHIRCH THE MOST VISITED IN THE WORLD BY 12 MILLION A YEAR---------- The 12 million visitors a year from all over the world, often feel sad. Notre Dame de Paris, had persisted in both world wars, and had been proud for more than 1000 years, was the subject of a fire, which continues to burn at the time it is published. The Fleche did not exist in 1831, when Victor Hugo had published his work Notre Dame de Paris, the Fleche was reinvented to this Gothic masterpiece, just after this publication. Huge flames devoured part of the roof of the building, giving off a thick smoke with yellowish hues. The fire, whose gravity still remained to be determined, took in the attic of the cathedral, the most visited historical monument in Europe, said firefighters. 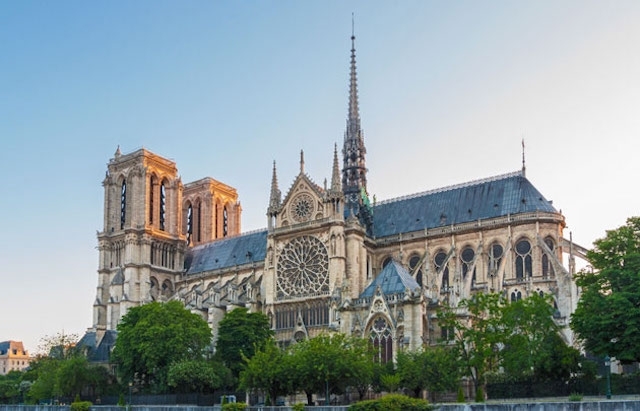 According to the spokesperson of Notre-Dame, the fire would have declared itself around 18h50. According to this spokesperson, the entire frame "is burning". This fire occurs on the first day of Holy Week celebrations that lead to Easter, the main Christian holiday. On social networks, several witnesses relayed impressive images of the disaster.